GM Canada CEO Steve Carlisle said the automaker's Markham team is already involved in the next generation of infotainment systems. MARKHAM, Ont. 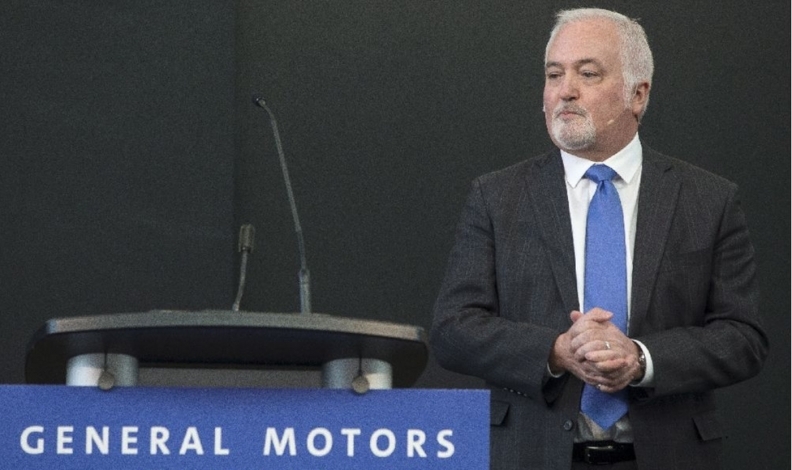 — General Motors of Canada sees Ontario's strength in advanced technologies as strategically important for its plans for creating safe, driverless vehicles in the near future, its CEO says. The automaker’s new software centre in Markham, Ont. — Canada's largest automotive innovation hub, according to GM — currently has 300 employees but is aiming for 700 by 2019. GM also plans to open a “mobility campus” in Toronto to complement other research centres it has in the province in Oshawa, Kapuskasing and Kitchener-Waterloo. “Our team here in Markham has worked on what we call Super Cruise, which is an automated driving technology we have in our Cadillac CT6s today,” GM Canada CEO Steve Carlisle said Jan. 19 at the grand opening of the Markham centre. He said the Markham team is already involved in the next generation of infotainment systems, which are finding their way into the products on the road, and a driverless car pilot project that GM wants to run in 2019. GM applied earlier in January for changes to the U.S. federal motor vehicle safety standards to allow for the use of autonomous vehicles without controls in robo taxi fleets, Carlisle said. He added that uncertainty surrounding the ongoing NAFTA trade talks may have caused some companies to delay their investment decisions but GM feels there's a better tone going into next week's round of talks in Montreal. “We're engaged with all levels of government, on both sides of the border, and all the on-going consultations that are there including leading up to the Montreal round next week,” Carlisle said. “We remain optimistic that everyone will come to appreciate it has been a very good agreement for everybody involved. We should retain it, we should improve it — and the sooner that happens, the better."